Sterling reputation draws community’s professionals. Even at the age of 70, Molly Snell still considers herself a workaholic. Lifeaholic may be the best way to describe her, though. A practicing psychologist for more than 30 years, Dr. Snell still sees patients regularly, and when she’s not seeing patients, she’s usually attacking life with the ebullience of someone half her age. It was last spring that Dr. Snell first noticed that not only during her trips to the beach but during any trip anywhere outside, her need for sunglasses to diminish the sun’s bright rays had diminished. Given her age, Dr. Snell suspected the problem might be cataracts. Her suspicion was confirmed about six months later when, largely because of its reputation, Dr. Snell sought out Center for Advanced Eye Care for advice and help. 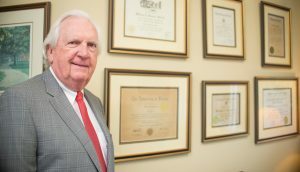 “I have staff privileges at two hospitals, so I know most of the doctors, and the doctors at the Center for Advanced Eye Care have an excellent reputation for doing great work,” Dr. Snell informs. “I still did my research, but I was very confident going to them. Dr. Sarah is Sarah S. Khodadadeh, MD, a board-certified comprehensive ophthalmologist who specializes in treating patients with glaucoma. Upon first examining Dr. Snell, Dr. Khodadadeh discovered not only cataracts but evidence of dry-eye disease as well. “Our eyes tend to get a little drier as we age, so what I initially did for Dr. Snell was treat her for her dryness,” Dr. Khodadadeh relates. “Then I had her return a couple months later to see if clearing up the dryness would improve her vision. 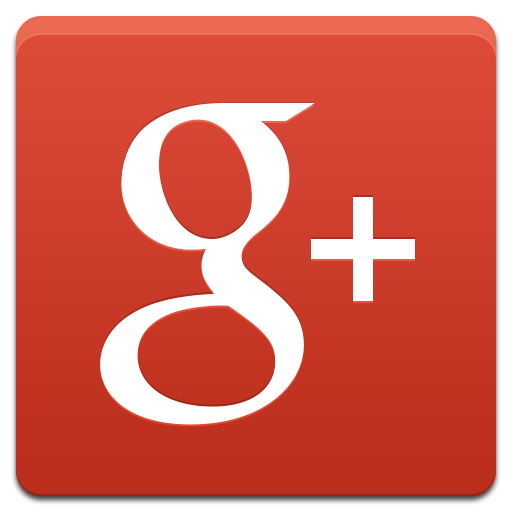 Dr. Snell previously had LASIK surgery, which left her glasses free. Her desire following cataract surgery was to remain glasses free. To meet that objective, Dr. Khodadadeh decided to correct Dr. Snell by giving her what is known as monovision. “Monovision is where I put the artificial lenses inside the eyes and set one eye for distance so that she can see far away without glasses and one eye for up close so that she can read without glasses,” Dr. Khodadadeh educates. 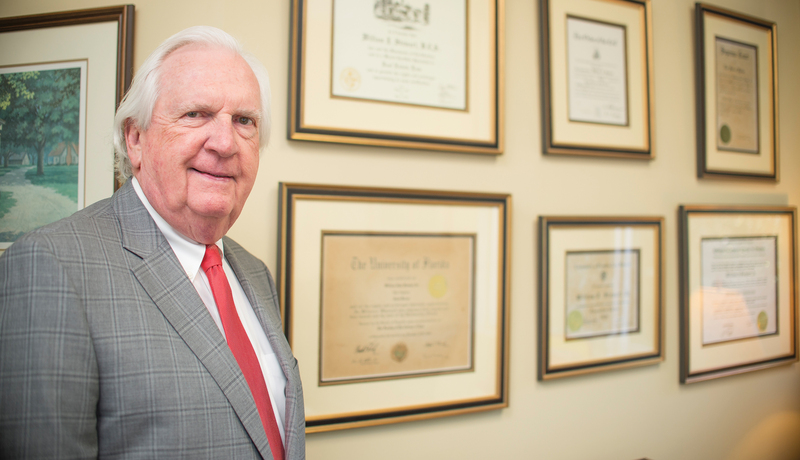 Unlike Dr. Snell, Bill Stewart never had LASIK or any other type of long-term corrective eye surgery to clear up his vision problems. As a result, the 74-year-old active attorney has been wearing glasses to correct his nearsightedness for more than 50 years. After more than 50 years, Bill is finally glasses free. Recently, after a new set of prescription lenses failed to bring the clarity he sought both on the golf course, where he was struggling to track his ball, and at work, where he struggled to see the computer clearly, Bill contacted Center for Advanced Eye Care. As she did with Dr. Snell, Dr. Khodadadeh determined that cataracts were robbing Bill of the crisp, clear vision he needed. In his case, though, simply removing the cataracts would not allow Bill to regain the perfect vision he was seeking. Adding to the challenge of correcting Bill’s vision was the fact that he suffers from myopia, or nearsightedness. To account for his astigmatism and allow him to continue seeing objects up close the way he had, Dr. Khodadadeh chose to fit Bill with toric lenses that were measured for distant and intermediate vision. The results were even better than Dr. Khodadadeh anticipated. In addition to clearing up Bill’s cloudy distant and medium-range vision, his near vision was improved as well, leaving him totally glasses free for the first time in half a century. “The procedure went very well,” explains Bill, who had his right lens replaced first and the left two weeks later. “By the end of the day on which I had each surgery, I was seeing fine out of whichever eye was done. Dr. Snell is thrilled with her outcome, too. But it wasn’t just Dr. Snell and Bill who were rewarded during the process. Dr. Khodadadeh says she was rewarded as well.